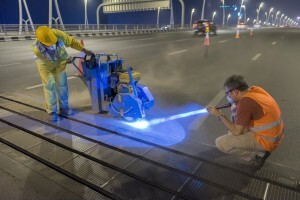 Sunway Sealing Inc. provides pavement repair and preventive maintenance specialized services with advanced machinery and equipment as well as premium materials for overseas projects including Africa and Asia. 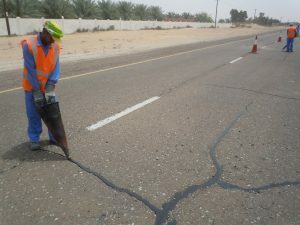 Crack sealing technology has demonstrated excellent results when it is applied on time and at proper pavement PCI. It has been proven to postpone the need for expensive repairs such as asphalt milling & overlays. 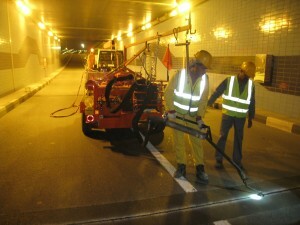 It also extends the serviceable life of pavement to at least 5 years or more. Sunway Sealing Inc. is the authorized representative of Marathon Equipment Inc. in Middle East and Africa. Marathon is a Canadian manufacturer of high quality asphalt repair and maintenance machinery. They produce a wide variety of crack routers, rubberized crack sealing kettles, hot asphalt haulers, tack coat applicators, and seal coating equipment. Their worldwide distribution has proven these methods to save significant amount of budget in road, highway, runway, and airfields repairs..